3 more days till the big V Day! Is your skin ready for your Valentine's date? Don't worry, TonyMoly has beauty products that can make your skin looking great in time for Valentine's Day. your skin healthy and prevent early signs of aging by regular use. correct complexion, illuminates skin, and can function as a base and primer. 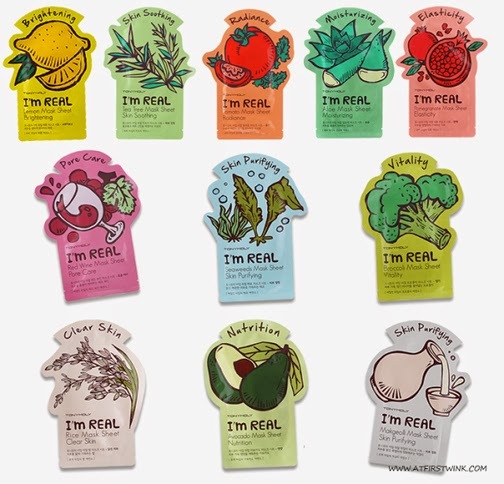 There are 3 types: Water Essence- Brightening (Lemon), Skin Soothing (Tea tree), Radiance (Tomato), Moisturizing (Aloe) and Elasticity (Pomegranate); Emulsion Essence- Pore Care (Red Wine), Skin Purifying (Seaweeds) and Vitality (Broccoli); Liquid Essence- Clear Skin (Rice), Nutrition (Avocado) and Skin Purifying (Makgeolli or Rice Wine).